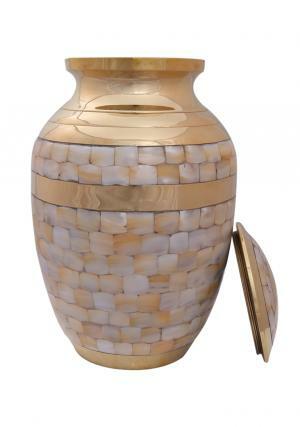 Elegant to inspiring with mother of pearl large cremation urn to decorate large quantity ashes of the loved one, features layers of pearl decorated on Gold polished brass made full adult urn. 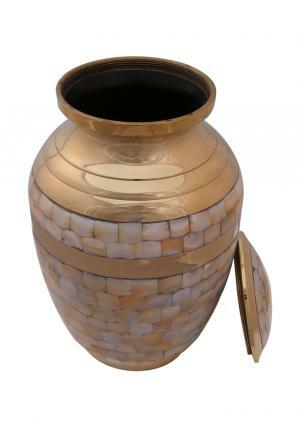 The adult ashes urn has beautiful hand engravings on high quality brass. The large brass memorial urn weighs 2.46 Kg when empty and designed to hold large amount of human ashes measured to be 200 cubic inch approximately. 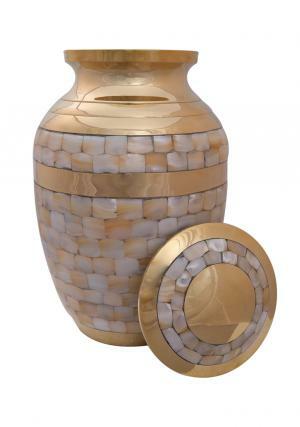 The dimensions of the Large Adult Mother of pearl funeral urn are 10 inch in height and 6 inch in width. 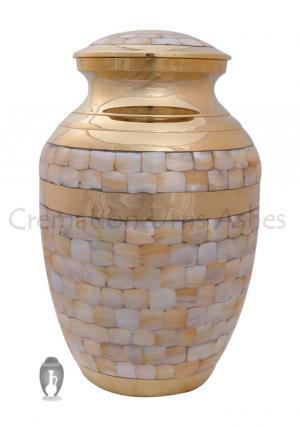 Adult ashes funeral cremation urn are intended of personal memorial use.